Snacks for the flight | eat. live. travel. write. 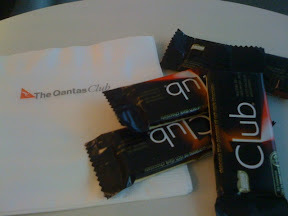 For a moment there, I was MOST excited, thinking they were the old Club bars from England – you know, the wee ones you'd get in a pack of five. Anyone with me here? Oh well, some dark chocs very nice as well. Well you can buy those Club bars up the street you know at Sweet Thrills. This is pretty good dark chocolate and I have even spotted some RUM AND RAISIN over here!! !